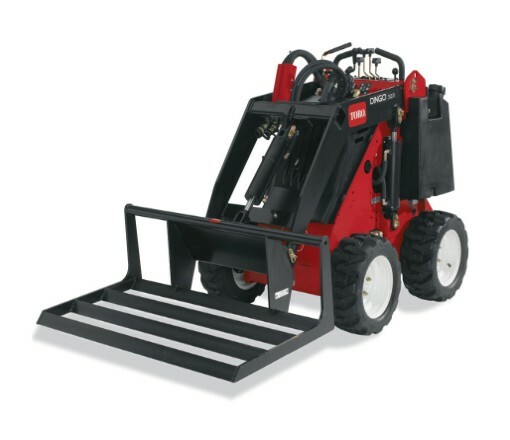 Looking to rent a Leveler attachment for the Toro Dingo in Rochester NY, Ithaca NY and Western New York? The Leveler Attachment is a widely respected Tool Rental item. Widely respected by professional contractors and landscapers for its ability to rake and grade. Precision engineered flow through design also enables carrying of materials.